From birthday debutants to scorers injuring themselves while celebrating and sprinkling of everything in between, the opening weekend of the 2017/18 Bundesliga season has been a statistically fascinating one. Borussia Dortmund are top of the table for the first time since Matchday 5 of 2015/16. The last time they were top after the opening weekend was in 1994/95 when they went on to become champions. Hertha Berlin have won all three of their Bundesliga openers under Pal Dardai. Pierre-Emerick Aubameyang scored on the opening Bundesliga weekend for the fourth time in his five seasons in Germany. He only failed to do so in 2014/15. Since losing the DFB Cup final to Wolfsburg in 2015, Dortmund have won all five subsequent Bundesliga matches against the Wolves, scoring 18 and conceding just three. Bayern Munich won their opening game for the sixth season in a row, equalling a league record set by Kaiserslautern set between 1989 and 1994. Nicolai Müller's eighth-minute strike for Hamburg was the quickest goal of the season so far. He injured himself while celebrating and went on to become the earliest substitute of the campaign too. The reigning champions have never lost an official Bundesliga season opener. Since 2002 the champs have won 13 times – including the last nine – while there have been three draws. Hannover are unbeaten in 11 competitive outings under head coach Andre Breitenreiter, winning eight and drawing three. 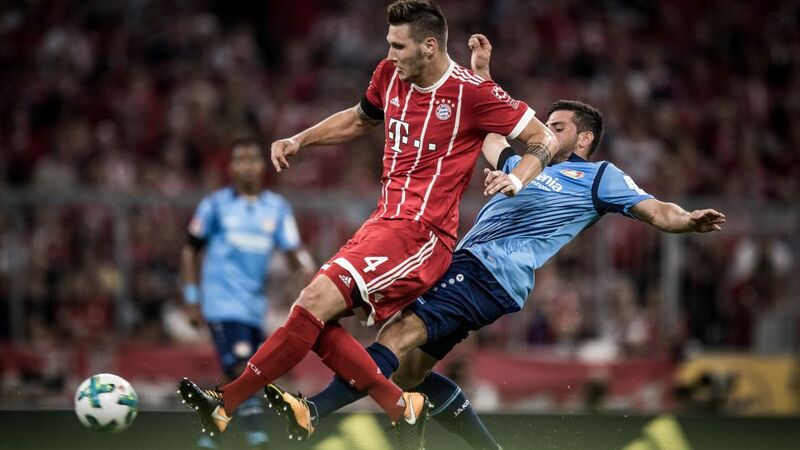 Niklas Süle's header against Bayer Leverkusen means a Bayern player has scored the first goal of the season 13 times, including each of the last five consecutive seasons. Mainz striker Kenan Kodro became just the 17th player in history to make his Bundesliga debut on his birthday. The last time that happened was with Hannover's Johan Djourou on 18 January 2013. Following their 1-0 victory over Bremen, Hoffenheim extended their unbeaten run at home to 18 league games (12 wins, six draws). The did not suffer defeat in front of their own fans in the Bundesliga last season. Leverkusen had 20 shots on goal away to Bayern Munich. Hannover were the last visiting team to have that many efforts on goal at the Allianz Arena, doing so in the 2015/16 season. Borussia Mönchengladbach debutant Denis Zakaria completed all 44 of his attempted passes in the derby win over Cologne. Nico Elvedi scored his first Bundesliga goal in his 47th appearance. Hoffenheim's Andrej Kramaric made his 50th Bundesliga appearance, and scored his sixth goal as a super sub. Bayern had just 51 per cent possession against Leverkusen, their lowest quota ever under Carlo Ancelotti. Hamburg defender Dennis Diekmeier equalled a Bundesliga record after making his 182nd league appearance: he is still yet to score a goal in Germany's top flight. Markus Schuler is the only other player ever to have had such a barren spell. Mario Götze made his competitive comeback for Dortmund 202 days after his last appearance, and set up Christian Pulisic to score the opener. Hertha Berlin recorded their 300th victory in their 575th Bundesliga home game. After 2178 minutes without a goal, Mathew Leckie found the target again, and even netted a brace in Hertha's victory over Stuttgart. In 2016/17 he did not score once in 30 games for Ingolstadt.